Should you buy an energy efficient fridge? You’d be hard-pressed to find a household in Australia that doesn’t possess a refrigerator of some sort, even if it’s only a little bar fridge. However, many of us may own appliances on the lower end of the efficiency scale – possibly because they were cheaper to buy, or it could just be that we didn’t have energy efficiency in mind at the time of purchase. 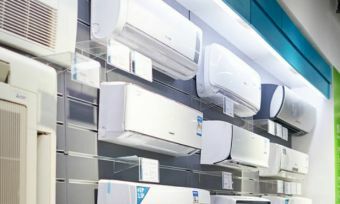 The question of price versus energy efficiency is a longstanding one, and one that can plague anyone who’s shopping around for a new appliance. 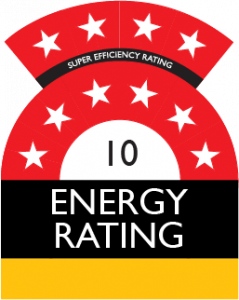 A higher star rating for energy efficiency is generally correlated with a higher price tag, and many of us – more worried about our bank balance than the environment – opt for a cheaper, less efficient model. However, what many Australians don’t realise is that by buying a less efficient appliance, they stand to lose money down the track in the form of higher electricity bills. Appliances have come a long way in energy-efficiency over the last 10 years or so, and chances are your fridge is this old as well. This is a chance to take a look at the energy-efficiency of your fridge, and see if you could do with an upgrade. How energy-efficient is my fridge? The simplest answer is to look at your energy star rating that should have come with the fridge when you bought it. Choosing a fridge with a low star rating over an energy-efficient model could leave you out of pocket of $20 or more over the course of a year in extra electricity bills! This is only going to be amplified if you’ve chosen a larger-capacity fridge. However, what costs you more in the long run, higher electricity bills, or a bigger initial purchase price? To try and answer this question, we’ve compared the purchase price and running costs of five different refrigerators, with energy efficiency ratings between one and five-stars. The energy rating goes up to six-stars, but very few fridges are there yet, so for a more even playing field, we’re settling with five-star models. These figures were calculated using an electricity price of $0.33/kWh, but be aware, as electricity rates vary across the country, and may impact your own personal running costs. With a step up in efficiency, Fisher & Paykel introduces this 610L unit, best suited to a medium-large household. It features ‘Quick Cool’ and ‘Quick Freeze’ functions to freeze food quickly, and its crisper is also humidity-controlled. The side by side design also has an easy to access ice and water dispenser, allowing you to get cubed and crushed ice in seconds. Haier is back at it again with the whitegoods. This time it has a 457L fridge boasting three stars for energy efficiency. It’s a slightly larger model, best suited to a household of two to four people. It’s a top-mount fridge, meaning the freezer is easily accessible. It has toughened non-spill glass shelving and ‘smart’ storage with compartments specifically designed for your full grocery shop, according to the brand. The vegetable crisper also has an adjustable humidity setting, which means your veggies can stay fresh for longer. With a handy mid-sized capacity of 441L, this fridge is suitable for a smaller family. It’s a top-mount unit, which means an easily-accessible freezer. It has a quiet operation, and features ‘Smart Diagnosis’, which means it can diagnose problems by itself, using the associated smartphone app you can download. This saves time trying to trawl through the internet looking for a solution. It also features LED lighting, which aids in emitting less heat, which can mean a boost in efficiency. With five-star models, you are pretty much restricted to Swedish giant Electrolux, with its innovative fridges. 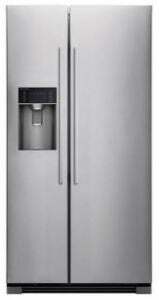 Take for example the 460L top-mount fridge. It’s an optimal mid-sized fridge for a midsized family. It boasts ‘FreshZone’ cooling, making flexibility and adjustability of different areas of the fridge easy, and has flexible storage solutions which means you can customise it to fit-in with your family. It also claims a ‘best in class’ energy-efficiency and it’s easy to see why. Is it worth buying an energy efficient fridge? Bigger fridges cost more to purchase, but their cost per litre of capacity is lower in some cases. The price-to-efficiency ratio diminishes as you opt for fridges with a higher star rating. The ‘sweet spot’ appears to be about three or four stars for a compromise between unit cost and running costs. Total cost of ownership of a four-star versus a five-star model can vary by around $300! With these things considered, it does make sense to choose a generally more efficient fridge, than one with a low star rating. The two-star model featured costs about $1,000 more to run than the four-star model, and about $1,200 more than the five-star model over the course of a decade. The price difference is simply outstanding. While everyone’s circumstances are different, a telling ratio to calculate is the total cost over a decade, divided by your fridge’s capacity. It appears to be at its best in the three-star range, and slowly creeps up as you opt for a more efficienct fridge, and hence pay a much higher initial price. One thing’s for sure though, 1.5 star models costs per litre are significantly higher than other models. Overall, the total savings between a three-star fridge and four-star one are pretty negligible, but it is worth going for something rated three-stars or better. Think about how much you want to spend, along with whether you can afford to pay higher bills along the line, and the degree to which you’re concerned about the environment. Thorough consideration of those three points should help you figure out what you want to go with, and which fridge you end up putting in your home.